Decided to finally execute a plan regarding the exploration of Winn Falls. Not knowing much about it except that it may be pushing close to 400' high, we formulated a plan of attack, trained in the areas that could prove to cause trouble, gathered gear, and attacked. 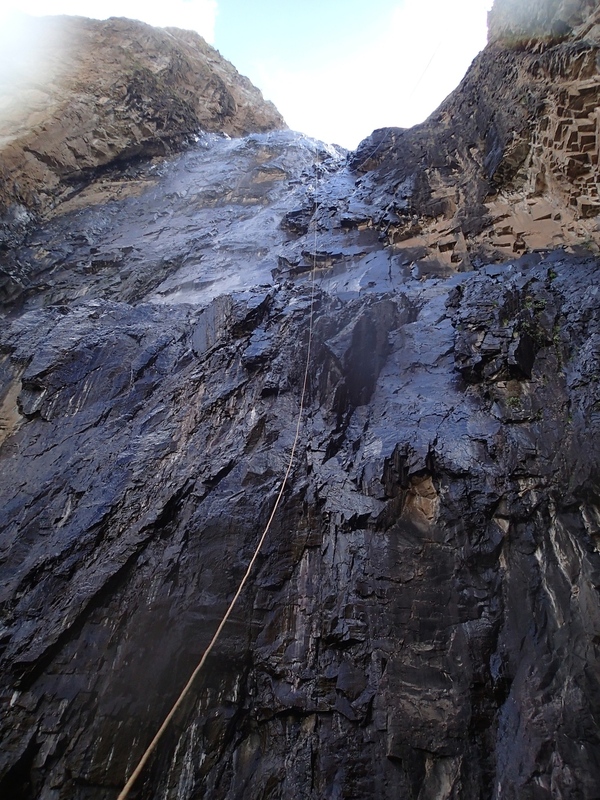 As suspected, the drop was BIG (425') of rope required to reach bottom. The drop was flowing, but not heavy as we decided for a first descent, less water would be beneficial should any issues arise. Following the big drop, we ran into a series of smaller rappels/down climbs until we were able to rock hop out of the canyon.